Walking in the garden on the first day of Spring without rain I’m greeted by purple iris freshly bloomed. 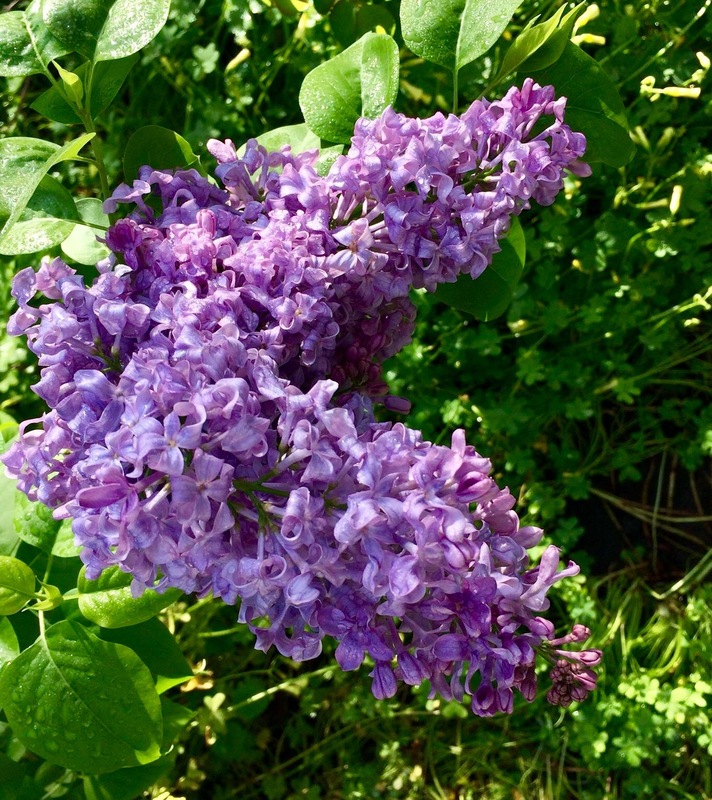 And lilac softer colors ready to accept my nose for sniffing. Or something like that. 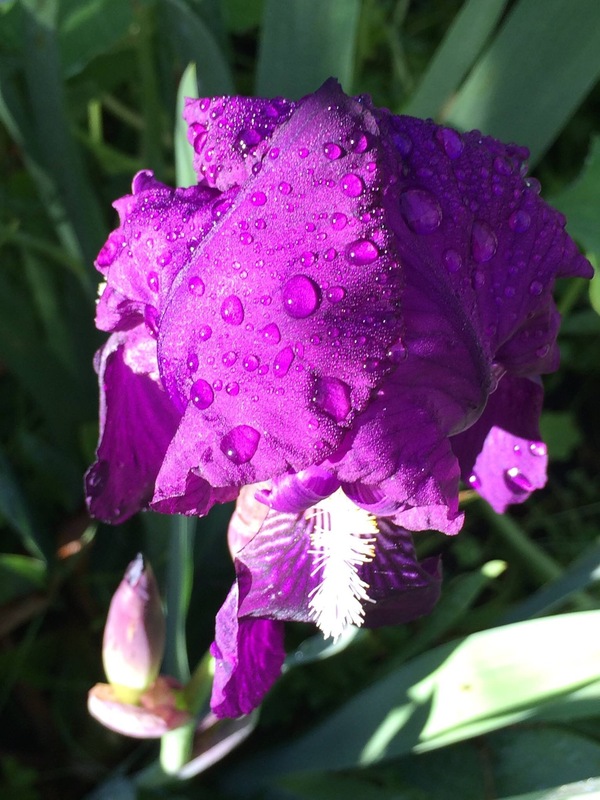 This entry was posted in Visions and tagged flowers, iris, Lilacs, phptography. Bookmark the permalink. Lots of beautiful purple on display today, Carol. The raindrops on the Iris are nice. Lots of life for sure, Carol. In the 5S and you, too. Lovely photos, gives me something to look forward to as we are just at the stage of daffodils and crocus blooming. They too brighten up our dull days. You really appreciate the sun when it has been gone. Just as we appreciated the rain after the drought. Now we have GREEN!